" Creating sustainable competitive advantage "
The death of great business strategies is a failure of leaders to TRANSLATE these strategies into the day-to-day activities of every employee. 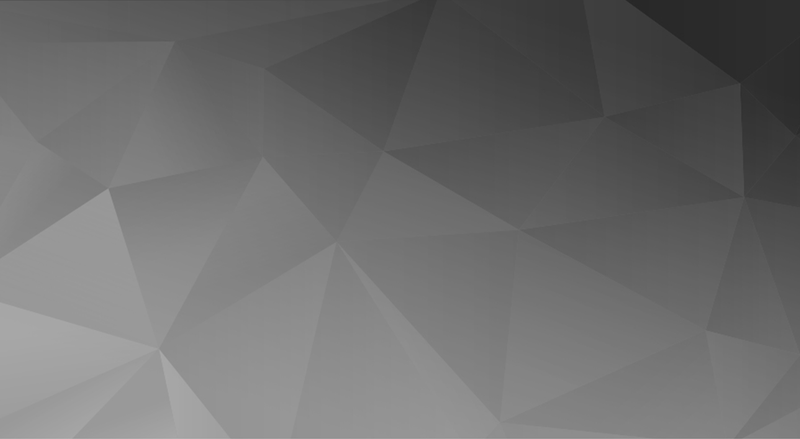 Solomon People Solutions offers a set of tried and tested processes and disciplines, ensuring that every employee can articulate what they will do differently to contribute to the realization of these strategies. We can help you MOBILIZE your entire team to achieve exceptional results. One of the powerful tools we offer is the visualization of the vision, mission and strategies of your business- a picture tells a thousand words, significantly increasing understanding of both the big picture and each person’s role in creating success. Only 40% of employees are highly engaged in business strategy (according to Towers Watson research), and only 10% are both engaged and aligned (Corporate Leadership Council). Thus, a tremendous opportunity exists to create a competitive advantage through the effective mobilization of employees at all levels in business. 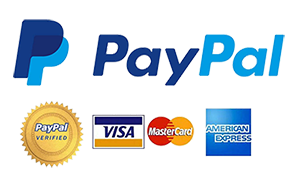 Recognizing this opportunity, Solomon People Solutions was established. All growth comes with growing pains—especially corporate growth. 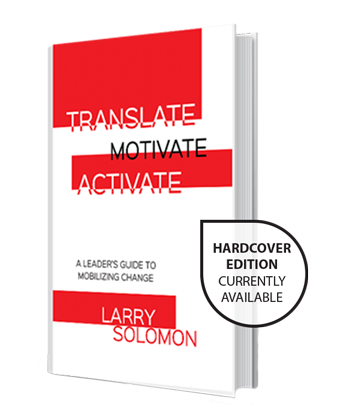 Larry Solomon, CEO of Solomon People Solutions and former executive vice president of human resources for the Dr Pepper Snapple Group, tackles the major challenges of mobilizing employees in his new book, Translate, Motivate, Activate. Using proper change management, team leaders can unify employees by following Solomon’s four principles: engage, align, enable, and sustain. Though discussion and professional examples from Solomon’s career, learn how to effctively communicate not just the plan but the vision of success to employees of all levels. Translate the company’s vision to apply to the interest of each employee. Motivate team members to work towards a common goal. Activate individuals’ unique skills to unlock your company’s full potential. Join Solomon on an enlightening discussion of the power that lies in communication, empathy, and teamwork. As the professor of an executive education course that is required to earn an EMBA at the University of Texas at Dallas, what do you see as the most important best practices college students can learn from your book today? MBA programs generally do a great job at helping students develop strategy. The same cannot be said about the execution of strategies and change. MBA programs lack focus in this area, yet so much of success lies in one’s ability to execute change through people. This book, as with the UTD Executive MBA course I have the privilege of running, equips students with practical ideas on how to execute strategy through unlocking the potential of their people. The book covers very little theory, rather focusing on pragmatism built over years of success and failure in executing change. Beyond your book’s educational value, do you have a philanthropic for-cause initiative readers can get behind? All proceeds from this book will go to My Possibilities, a non-for-profit, or as I call it, a “for-cause” organization, that courageously and relentlessly pursues the full, untapped possibilities of individuals with special needs. This book is about leading change, and My Possibilities is an outstanding example of an organization that, against the odds, is redefining society’s expectations of what can be achieved by adults with special needs. Driving constant change with passion and purpose, My Possibilities continues to break entrenched mindsets, and through continued education and training, is giving dignity and purpose to people who previously have had limited opportunities for growth. You had a relationship built on trust with CEO Larry Young at Dr Pepper Snapple Group, what does having mutual respect and support from leadership have to do with successful mobilization? Larry Young has always led businesses with Finance at his left side and HR at his right. For HR practitioners, it is inspiring to have a leader who recognizes the critical role of HR as his or her “translator.” This gives the HR leader the authority to act, however, with it comes significant accountability to deliver practical, business-relevant solutions for the successful mobilization of all employees. Is it possible to motivate people at every level of an organization and what is the best way to gather consensus that moves people to change? When driving change, the key is to attain “critical mass”- a term that relates to the triggering of an unstoppable chain-reaction. In organizational change, when you have a “critical mass” of powerful influencers who openly support and execute the change you want to implement, the momentum becomes unstoppable. Resistors either get on board or leave. Can up-and-coming HR managers become effective translators for strategy that affects change? The key is for HR managers to earn credibility within their organizations as business-people first, and as HR practitioners second. This opens the door for them to then create and implement pragmatic, business-relevant solutions that source and unlock the full potential of the human resources of the company. This is what translation is about, and is the most strategic role of HR leaders. Is culture change a natural evolutionary process born from a company’s intrinsic growth or is it a strategic plan that must be staged in phases? In my experience, successful change is seldom a result of evolution, but rather a result of intelligent design and disciplined execution. There is a real danger in allowing change to be the result of an evolutionary process. The “survival of the fittest,” when injected into your change agenda, can lead you down a path of least resistance or by those who are most influential in the team. The messiness inherent in change will require continual adaptation as the change unfolds, but these adaptations are intelligently designed and executed with the desired end-goal remaining clearly in focus. You ran HR for a multi-billion dollar beverage industry, does your “ultimate case study” provide intelligence that can be applied to a small- or mid-sized company? Regardless of the size of the business, we are tapping into the potential of people. The principles covered in this book have been applied across diverse cultures and sizes of businesses- these principles remain fundamentally the same. In fact, in small to mid-sized organizations, the messiness of change is more manageable and the positive impact of change is evidenced sooner than in larger organizations. How do you define the word “Translate” in the context of organizational change? Strategies seldom disseminate from a power point deck discussed at executive leadership level into the every-day actions of employees. That connection is seldom made and when it is, it often dissipates or is lost in translation. When leaders support their teams in identifying specific actions they can take to positively contribute to the strategic priorities of the business, a foundation for true mobilization is set in place. Is clearly implementing strategy the biggest challenge to successful mobilization at all levels of an organization? I would rather have an average strategy beautifully executed than a magnificent strategy poorly executed. Too little time is spent by leaders in effectively engaging the Heads, Hearts and Hands of every employee in the execution of strategy. Do employees need to change on a psychological level while accepting the process of change, and how can you reduce negative organizational impact? Great leaders inspire others to achieve levels of performance that they would otherwise not have achieved. When this is the result of a united team effort, people usually embrace the change needed to be a part of a winning team. There are however those, who despite coaching, cannot or choose not to embrace the change. These individuals normally leave, and when they do not, how well the leader manages the removal of these individuals from the team, will have a significant impact on the change initiative. Making these tough people decisions is important for the credibility of the initiative and honoring those team members who are embracing the change. Making these decisions must therefore not be delayed and must be carried out in a manner that best preserves the dignity of the individual leaving the team. 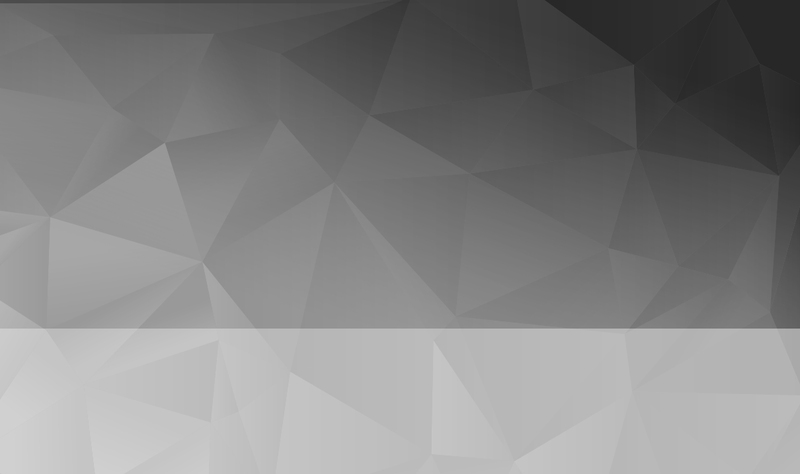 How can a CEO become the organizations’ change management champion? Is the secret to success simply communicating effectively through each phase? The CEO must become the change he or she wants to create in the organization. Too often, leaders adopt a “good for the troops” approach to change… “They need to change.” The leader’s actions throughout the change journey will speak louder about his or her commitment to the initiative than all written or spoken communications on the subject. What can C-suite leaders do to impact culture change utilizing an internal HR director in the process? One of the most strategic roles that an HR leader can fulfill is that of “translator,” the right-hand person to the CEO who is able to effectively translate the leader’s vision, strategy and values into the day-to-day activities of every single employee in the business. This is what leveraging the power of your “human resources” is about. 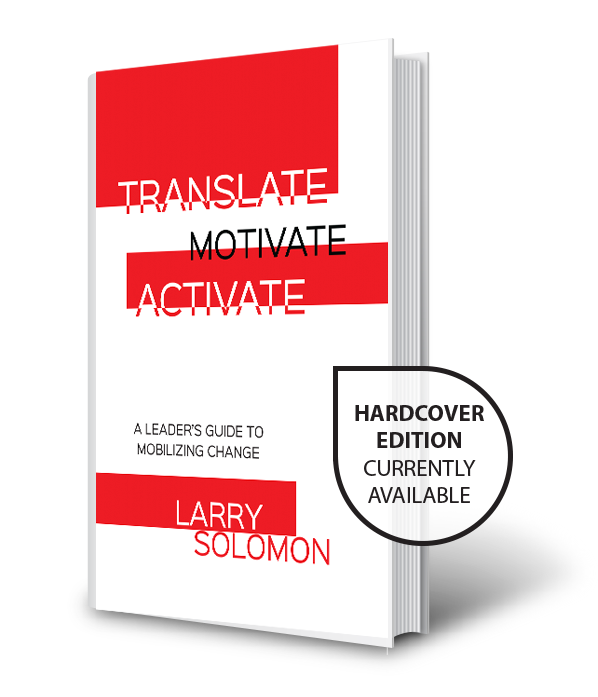 Does your book,'Translate, Motivate, Activate', provide insights for executive leadership based on your own experience, and what would you like readers to take away? There is no better learning experience than “the University of Life.” My desire is that every reader of this book might identify a few principles that equip him or her to either accelerate the execution of their change initiative, or to avoid some of the traps that I have experienced. 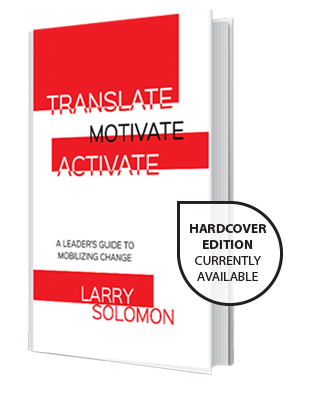 “In a successful career spanning forty years Larry has played vital roles in the design and execution of organizational change to drive healthy, sustainable performance. In this book he tells us not only what needs to be done, but offers practical guidance on how to do it, bringing the narrative to life through his own experiences.